I've written a few times about the importance of rendering not only surfaces, but the spaces between surfaces. 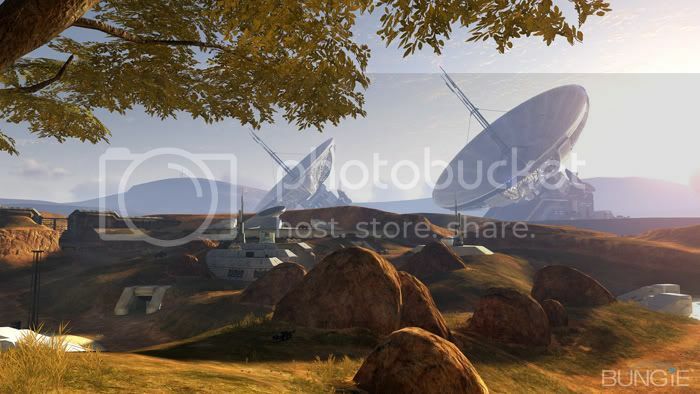 This screencap from Halo 3 downloadable content speaks volumes; it's one of the most beautiful things I've seen out of a rendering engine. There are so many beautiful things about this shot; skylighting, atmospheric extinction, reasonable HDR tone mapping, a wonderful and well considered palette. Also, I like radio telescopes! I want to spread a blanket here, and have a Maxfield Parrish moment. 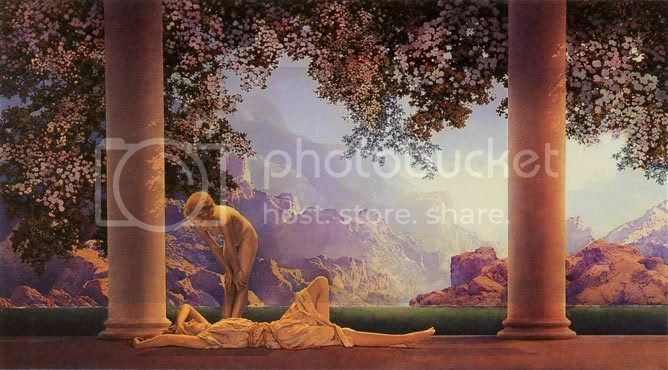 Daybreak by Maxfield Parrish, a master of painting spaces between. If only he had a radio telescope in there.